Iowa City design agency Creative Mellen brought us in to work with them on this project for The Dimensional Group out of Mason City, Iowa. 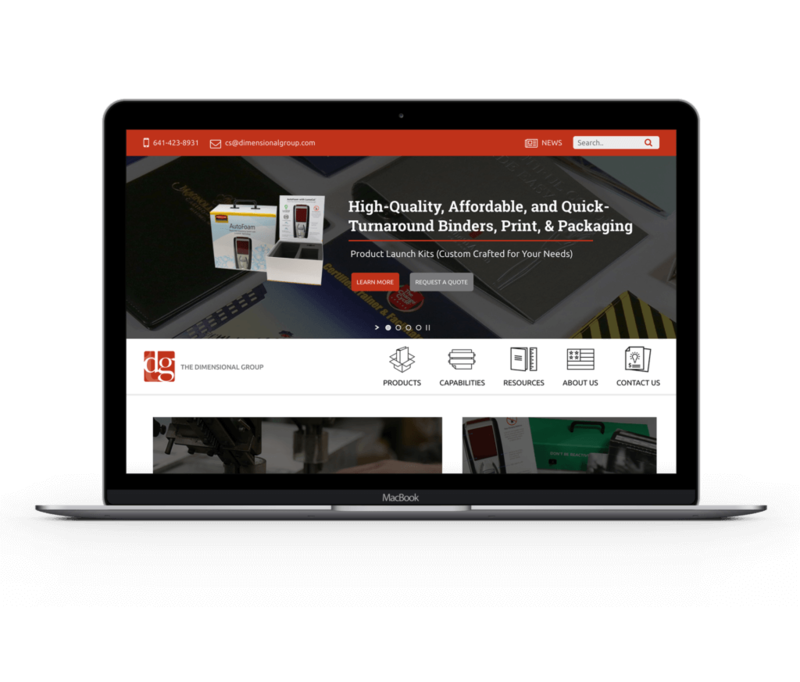 The Dimensional Group is a large company that designs and builds packaging and printing for well known brands like Rubbermaid, Coca-Cola, Menards, the PGA, and many more. 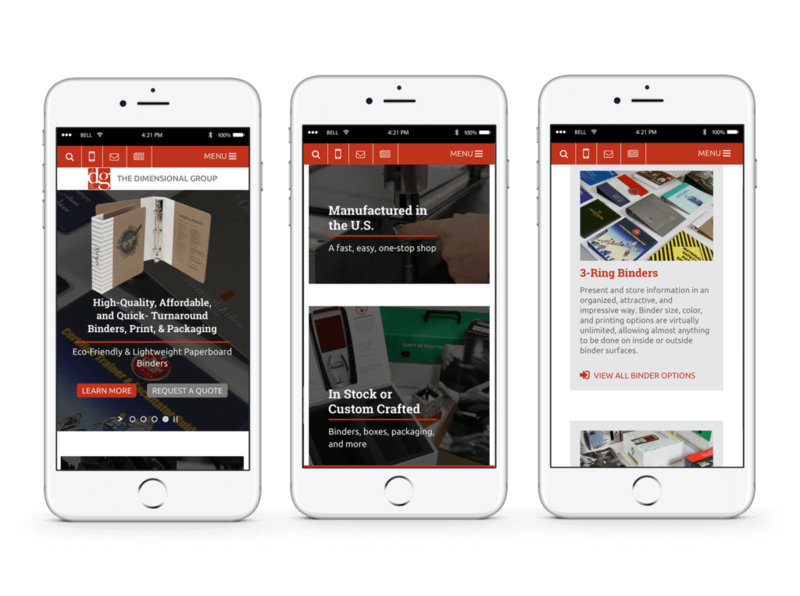 They were in need of a new mobile responsive website that could properly showcase their extensive experience in the industry. Despite its complexity, the Dimensional Group website was designed to be very easy to navigate for site visitors, and, equally important, was built to be intuitive and easy to update for website administrators. The client relayed that they are very pleased with the way the site is designed and built. It’s easy for them to keep it updated with their latest product offerings.